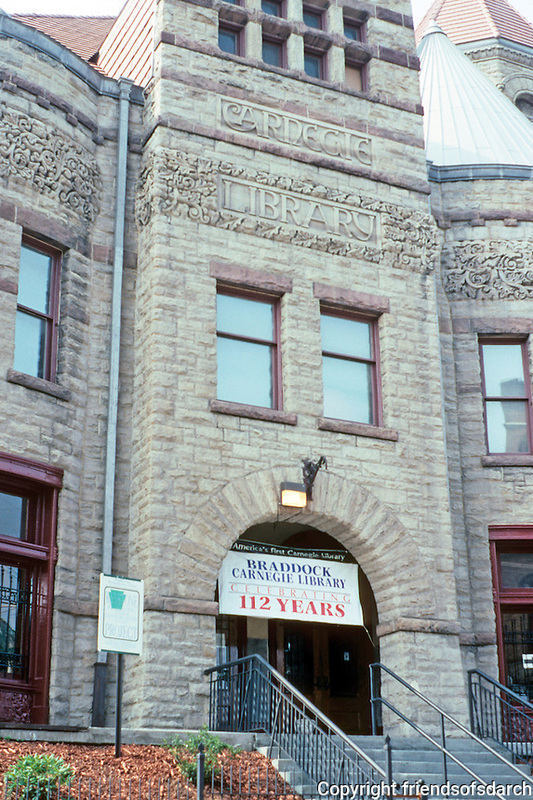 Pittsburgh: Braddock, The Carnegie Library. "Vacant and blackened by smoke in 1986". The sandstone now restored and it's reopened. Photo 2001.